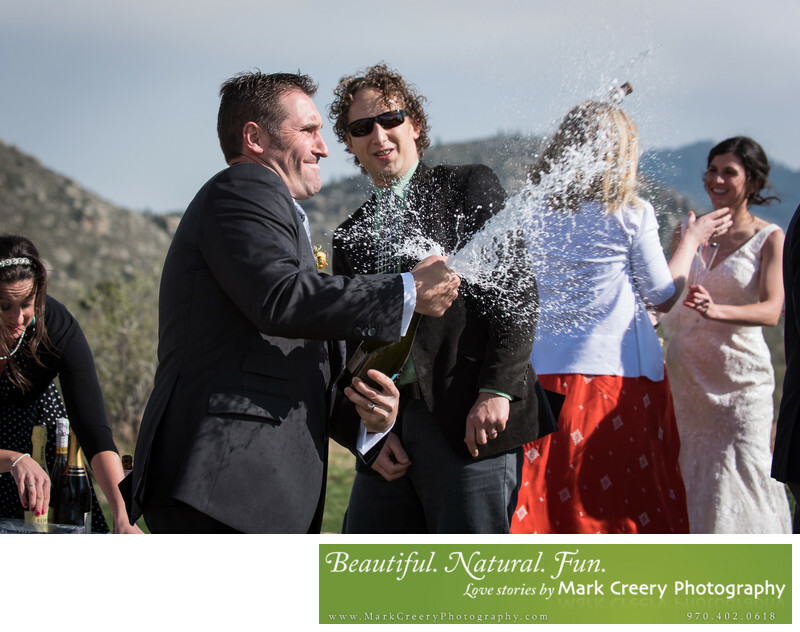 Wedding photos at Y 2 Bar Eagle's Nest Ranch by Fort Collins wedding photographer Mark Creery Photography. Mark excels at telling your wedding day story with style and loves the scenery that the area around Eagle's Nest Ranch offers. In this photo the groom is popping some champagne in dramatic fashion. They later took the horse and carriage over the hillside to a beautiful overlook where the groom had a special bottle of wine that was the first wine they shared together. Check out more of the website and see why brides are raving about their experience with him. Location: Eagle's Nest Ranch, Livermore, Colorado.